Essen – October 27, 2017 – Asmodee Digital, a leader in digital board game entertainment today announced that the multi-million selling dungeon adventure card game, Munchkin, created and published by Steve Jackson Games Incorporated, will be reimagined for digital platforms, under license. 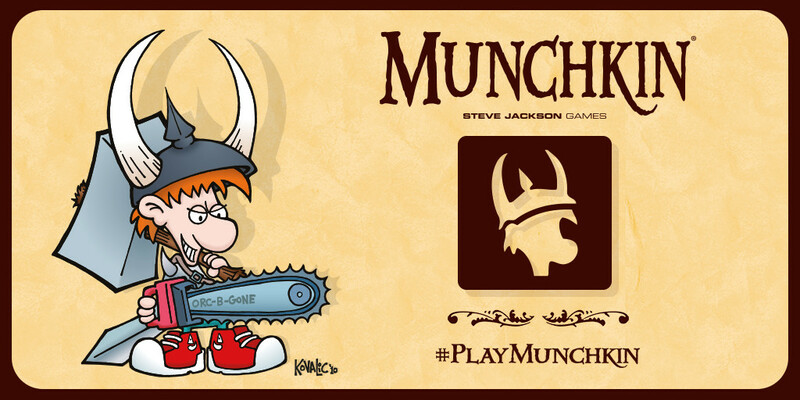 The upcoming digital adaptation will put everything players love about Munchkin at their fingertips in the next year. Steve Jackson Games, based in Austin, Texas, has been publishing games, game books, and magazines since 1980. Its best-selling game is Munchkin, with over eight million copies of the games and supplements in print worldwide. Other top sellers are GURPS (the Generic Universal RolePlaying System), Zombie Dice, and Illuminati. Past hits have included Car Wars and Toon. Steve’s very first game, Ogre – originally published in 1977 – drew almost a million dollars’ worth of Kickstarter support in 2012 for a super-deluxe edition that was released in the fall of 2013. The company news page, the Daily Illuminator, is the oldest continuously running blog on the Internet. For more about Steve Jackson Games, visit us at www.sjgames.com, on Facebook at facebook.com/sjgames, Twitter at twitter.com/SJGames, Instagram instagram.com/stevejacksongames, and YouTube youtube.com/SteveJacksonGames. Asmodee Digital, a fully owned subsidiary of the Asmodee Group, is an international publisher and distributor of digital board games with operations located in Europe, North America, and China. Asmodee Digital manages the creation, design, development, publishing, and marketing of board and card games on leading digital platforms for Asmodee studios as well as for third-party publishers. The current Asmodee Digital catalog includes best-selling digital games such as Ticket to Ride, Splendor, Pandemic, Small World 2, Mr. Jack London, Lexigo Rush, Story Cubes, Colt Express, Mysterium, Potion Explosion, Onirim, Jaipur, Spot It! Duel, Smash Up and digital versions of many other well-known board games.